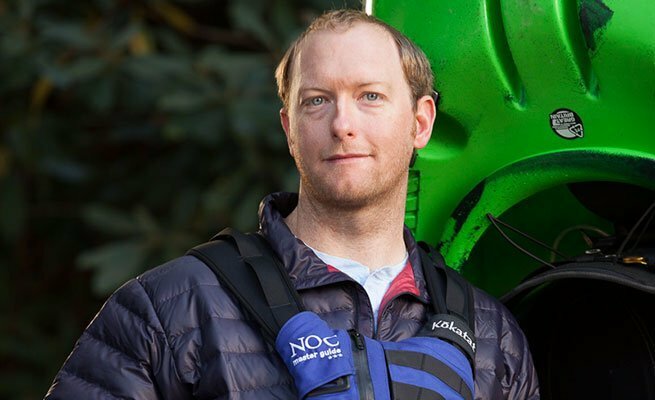 With 14 years at NOC and certifications including Wilderness First Responder and ACA Kayak Instructor, Jason is a intergal part to our Paddling School Instructor Team. Originally from Missouri, Jason found his way to North Carolina by following the rivers. When Jason isn't instructing he can still be found in his boat conquering some of the Southeast's toughest creeks, earning Jason a spot on Team Pryanha since 2005. During the off-season Jason is most likely traveling, covering thousands of miles in 13 different countires. His favorite NOC Adventure is our kayaking trips in the Dominican Republic.